It would matter. Beyond 16gb is harder to justify but 8 to 16 means that all the windows processes that run regularly get left alone in their own memory space while any game you play gets to make use of 4-8gb without having to swap processes to the hard drive (virtual memory). Best bet would be to run something like CPU-Z from here (http://www.cpuid.com/) to get the make and model of the mother board and ram. Alternatively you can open the case and see if the memory has a serial number/model number sticker on it and see what the model of motherboard is. I went from 6GB to 12GB, skeptical I would see much of an improvement, and the difference blew me away. 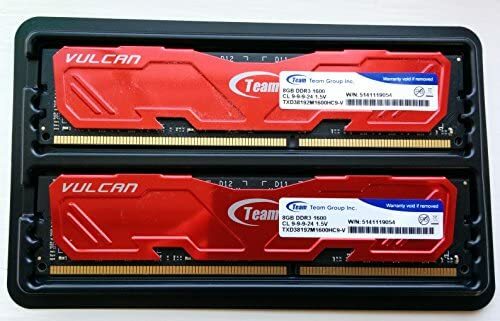 You have to be careful just filling up extra memory slots on your mobo - many mobos optimize memory access via channels and having mismatched memory (in terms of speed) in the same channel can limit performance. I’d suggest first figuring out which mobo you have, and then go get the users manual and memory compatibility guide for it from the manufacturer. The user manual will tell you the maximum memory capability of your motherboard and which slots go with which channel. The compatibility list will be a very conservative list of what’s compatible with your system, but gives you an idea of what memory suppliers the mobo manufacturer works with. If your mobo is old enough, you might need to go to forums like www.overclock.net to see what experience other users are having with your board. Given that you have SSD, it probably will not do that much…it will not hurt though. I would get it since cost is so little now days. Thanks for that! So this is what I came up with when I ran it… Excuse my ignorance…I’m not a real techie guy. So I suppose there are 4 RAM slots - and two are occupied right now since Slot #1 and Slot #2 show no data, and Slot #3 and #4 show below (Team Group - Vulcan 1600). So should I just order that same type and stick them in Slot #1 and #2? Of my current games installed, Grand Theft Auto 5 requires the most RAM. MSI Afterburner reports about 6 to 6.5 GB usage( of 16) at any given time. My VRAM reports just under 3.5 GB (of 4 GB available, cuttin’ it close!) in 3 monitor config. Large open world with dynamic action = more hardware required. DCS barely uses 3GB of RAM and 2.5ish of VRAM which I’m pleasantly surprised. I’m very curious to see how DCS 2.0 will fair on my rig. From the live streams that Matt has broadcasted, it’s looking great and I’ve seen his system specs posted at the ED forums. I missed his in-game settings. If anything DX11 should be more efficient than DX9. You will definitely enjoy faster load times and hopefully smoother gameplay with 16GB. I wouldn’t go any higher. Building a PC? These are the parts to get. …as they tend to show the best combinations of parts and clearly point at what the best ‘bang for buck’ next upgrade step is. …and I did it …finaly !! With so many discussions about ’ F-14 super hungry for RAM ’ and ’ all time low RAM prices ’ and ’ mid-life upgrade ’ I decided, after two years, to invest litle into my PC. Installation was easy, modules did slide into the slots with ease. Remember few years ago I thought I would brake the MB installing modules.